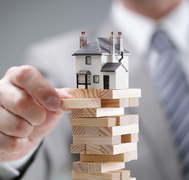 Whether you are a mortgage agent or individual interested in diversifying your investments, mortgage investment may be something that has peaked your interest, and rightfully so. Arranging or investing in private, commercial and syndicated mortgages offers you the opportunity to yield good returns with the security of real property. A major challenge for agents and investors alike who are new to this arena is where to start! Well, in order to arrange or invest in a mortgage/project you are going to need 2 things: a good project and a good broker who specializes in private, commercial and syndicated mortgages. Your choice in broker is critical because they can both provide you access to good projects but also arrange to loan the money that will be invested. Believe it or not, if you are an agent, even if you work for another brokerage, most mortgage brokerages who specialize in these types of deals are happy to work with other agents and brokers! References – Do they have other investors who are prepared to give you a reference? History – How long have they been in business? How many projects have they completed? How many projects do they have underway right now? Status – What is their status with FSCO and are they licensed and in good standing? Reviews – A great way to find people who may have had bad experiences is to look for reviews online. Whether you are a mortgage agent or an investor – mentoring is critical, especially when you are new to the business, the best broker will be prepared to mentor you through the process, not just to understand what is involved with a particular project but to understand the entire mortgage syndication process. Knowledge is power and, especially if you are an agent, in order to achieve your independence in this arena you will need to partner with a broker who is committed to getting you there. Being a newbee in mortgage investing doesn’t have to be overwhelming and with the right support and resources is something that can be fruitful and rewarding. Interested in learning more about syndicated mortgage investing? Take part in one of our seminars – http://paulmangion.com/education-and-events/ – or contact me directly to book a meeting at 416-204-0156.